One major criticism of the Smart ForTwo is that for a roller-skate of a car, it doesn't really deliver the high-economy numbers you might expect...well that and a driving experience that falls seriously flat (in no small part due to its poorly developed automated manual transmission). 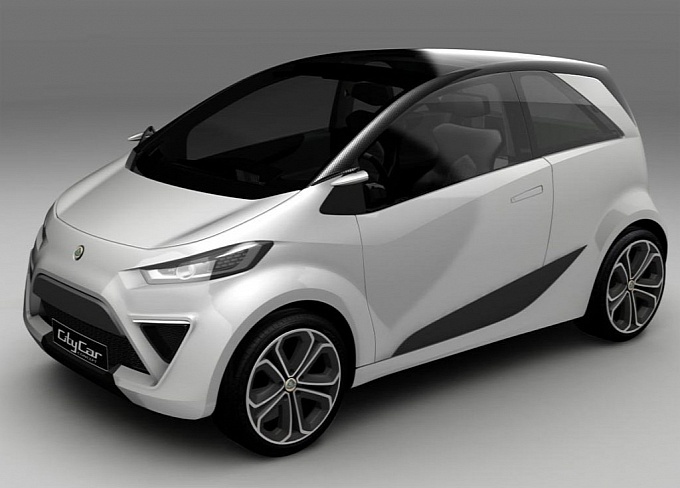 Lotus looks to resolve all of these issues with a concept they are calling the City Car. It has the standard microcar 2-seat configuration, but packs a Chevy Volt-like series hybrid powertrain. Range on electric only is projected at 37 miles with a 3-cylinder range extender, developed by Lotus, providing electricity from that point on. Expect the City Car to hit the streets in 2013. Availability in the US is anyone's guess - though tighter CAFE requirements likely make it a sure thing. Performance is on par in the segment with 0-60 times of about 9 seconds and a range of over 300 miles. If this allows Lotus to maintain some independence and continue to produce their wonderful line of sports cars - bring it on.